Improve your credit report and keep up a good credit history. Avoid credit repair scams. If you have a history of late payments, unpaid bills, or accounts sent for collection, your credit record will suffer. A bad credit record gives you a low credit score and makes it difficult for you to get needed credit or loans for things you really need. Most everything you do with credit, both good and bad, is reported to a credit reporting agency. A history of paying late, or not paying at all, is sent to credit reporting agencies. Bankruptcies, judgments, and liens also find their way to your credit report and hurt your credit rating. The good news is that positive information is also sent to credit reporting agencies. To keep track of your credit standing, you should review your credit report at least once each year. You can correct errors and clean up any wrong information that might be on your report. Pay bills on time. Late payments really hurt your credit standing. It is best to pay the entire balance on your credit cards each month. If you can’t, be sure to at least be paid the minimum payment on time. The more you pay each month, the less interest you’ll be charged. Don’t go over your credit limit. Some credit cards allow you to go over your credit limit. They usually charge you extra in penalties for doing so. In addition to paying penalties, going over the limit hurts your credit score. It tells companies that get your credit report that you aren’t paying attention to the limits of your account. If you don’t exceed your credit limit, you won’t have to pay penalties. This allows you to pay your balance down sooner. Cancel some of your credit cards. Having lots of credit cards can hurt your credit score. When you apply for new credit, the company checks your credit report. One of the things they look for is how much your combined credit limits are and how much you owe. As you get closer to your credit limits, your credit score goes down. Applying for lots of credit cards lowers your credit score. One bank card and a department store or gasoline credit card are all you really need. Cancel the others. Deal directly with creditors. 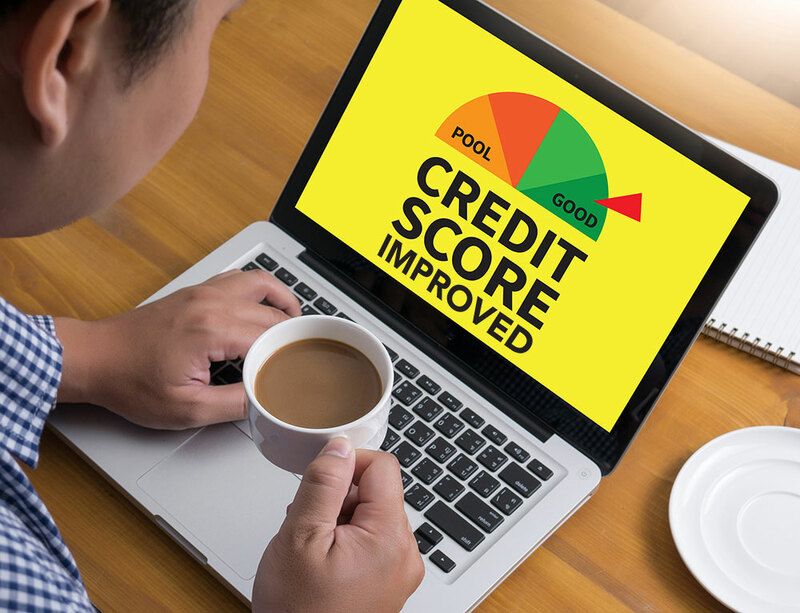 Some businesses (creditors) you owe money to may be willing to take the negative information they reported off of your credit report if you pay some or all of the money you owe them. Creditors must report payments you make, but they are not required to take negative information off your report unless they agree to do so. You will have to speak with each creditor individually to see what, if anything, they are willing to do. If a creditor agrees to take information off of your report in exchange for full or part payment, get their promise in writing before you pay. If you pay the balance, even without an agreement, they must update your credit report to reflect a paid-in-full status. If you discharged debts in bankruptcy, those items can still be included in your credit report. Credit repair companies promise to improve your credit. They may also promise to get you a loan or a credit card. They lead you to believe that they have special ways to get negative information off your credit report. They don’t. Because of the problems with credit repair companies, strict laws were passed to regulate their activities. For example, they must provide a written contract that you can cancel within five days. They can’t require payment in advance and all promised services must be completed in 90 days. They must also register with the Department of Justice and file a $100,000 bond with the Secretary of State. Be aware that very few credit repair companies follow the law.